Today’s CFOs routinely talk about the importance of the finance function partnering with business leaders in order to enhance organizational decision-making. However, according to KPMG, the “shape” of business partnering is destined for profound change. 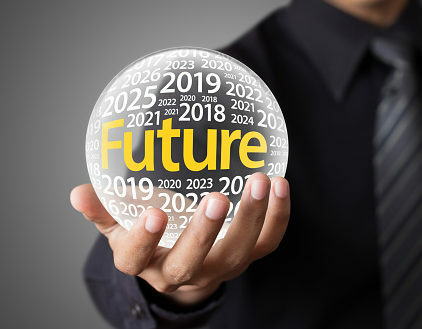 As is true for seemingly everything these days, the spark for the shift, according to a recent “Future of Finance” report from the professional services firm, will be intelligent automation and advanced analytics. “Finance will not need to embed as many professionals throughout various business units and geographies, because accessing and analyzing data will no longer require a local presence,” the report states. Instead, companies will increasingly use centers of excellence (COE) outfitted with data scientists, finance experts, and intelligent automation, KPMG says. These centers will analyze vast amounts of internal and external data to help the business answer such key questions as how to deploy capital, where to expand, and what product lines to grow. Consider the forecasting activity in a typical finance function today, the report suggests. With limited, backward-looking data and a plethora of spreadsheets, the forecasts are inefficient, inaccurate, and untimely. Supported by new, distributed technologies, these roles will be increasingly independent of office environments — although they will still be driven by the need for interaction and teamwork with the business. Compared with the current model of large transactional hubs in low-cost locations, offshore centers in the future will be smaller and more specialized, KPMG writes. The service providers there will take on more complex and analytical work than is typically handled in today’s shared services centers. Indeed, shared services centers are in for their own makeover — one that may herald a notable change in the very definition of the finance organization. Historically, in an ongoing quest to provide the highest-value services possible, finance vacillated between centralized and decentralized service-delivery models. With the advent of the shared services model, finance departments found a nice balance, KPMG says, delivering high quality, responsiveness, and efficient transactions from low-cost locations, all while creating clear ownership for finance. Now, though, having “walked a hard road” to create that balance, finance leaders may need to let it go, to an extent, as companies increasingly move more toward multifunctional service delivery (also called “global business services,” or GBS). In this multifunctional model, which combines shared services, outsourcing, and internal operations, leading companies are breaking away from functional silos. Not only CFOs but all functional heads may experience a loss of control as many of their people begin reporting to the head of GBS, the report suggests. Yet the GBS model is preferable, according to KPMG, because it enables enterprises to improve flexibility, simplify management and governance, better manage risk, and incorporate more innovation, such as robotic process automation and digital technologies.